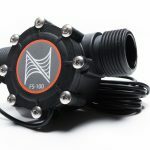 The term zeovit reactor is making its rounds on the aquarium forums and in fish store chatter more and more these days. 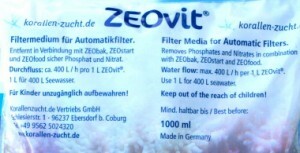 To help clear any confusion, zeovit refers to a zeolite media sold by Korallen zucht, and available online via www.zeovitusa.com. While we are on the topic, what exactly is zeolite, and does this relatively different approach to a reef aquarium offer the amazing results, shared by some zeolite users, who have been affectionately dubbed zeoheads? 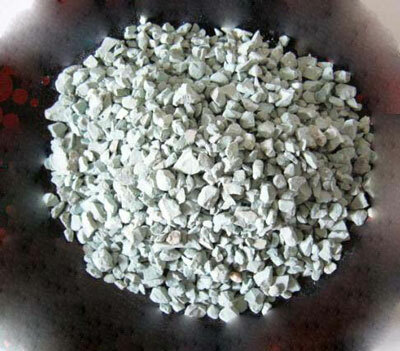 Zeolite in general is a micro-porous, alumino-silicate material that is found in nature and produced industrially. Often zeolites are used as absorbents and catalysts, and they serve both roles when applied to reef aquariums. You can find zeolites in general products ranging from oxygen concentrators used in the medical supply field, down to cat litter, absorbing the ammonia out of your furry friend’s waste. Most of the zeolite materials sold for use in reef aquariums are manufactured, and only based on their naturally occurring counterparts. For many aquarists, zeolite is something they’ve heard of, but don’t fully understand. Often, the media gets tossed around with the term ultra low nutrient system (ULNS). Since zeolite can absorb ammonia, along with other nitrogenous compounds, using it properly can greatly reduce nitrate and phosphate. When you combine that with zeolite’s micro-porous structure, you have an ideal habitat for anaerobic bacteria, making the media ideal for ridding your tank of unwanted compounds. Implementing zeolite in a low flow reactor can strip nitrate and phosphate out of the reef environment so quickly, that it can shock corals to the point of inducing rapid tissue narcosis. Since zeolite is a catalyst, it works in conjunction with a variety of additives, making them more effective and pulling out specific traits within the compounds. Everything from carbon food sources for anaerobic bacteria, on down to concentrations that clear marine water, can be enhanced by using them in conjunction with a zeolite reactor. 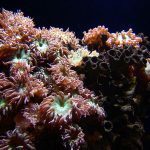 While it may seem like a miracle media for reef aquarists, zeolite implementation takes some forethought and planning, and if used incorrectly can cause disaster in a reef aquarium. How is zeolite used? The most common way to implement zeolite is in a specific reactor. There are a variety of reactors on the market, and they all share the same basic traits. 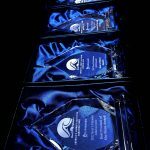 One thing that makes zeolite reactors uniquely different from other commonly used reactors is that they include a handle, allowing the aquarist to pump, or shake, the media. 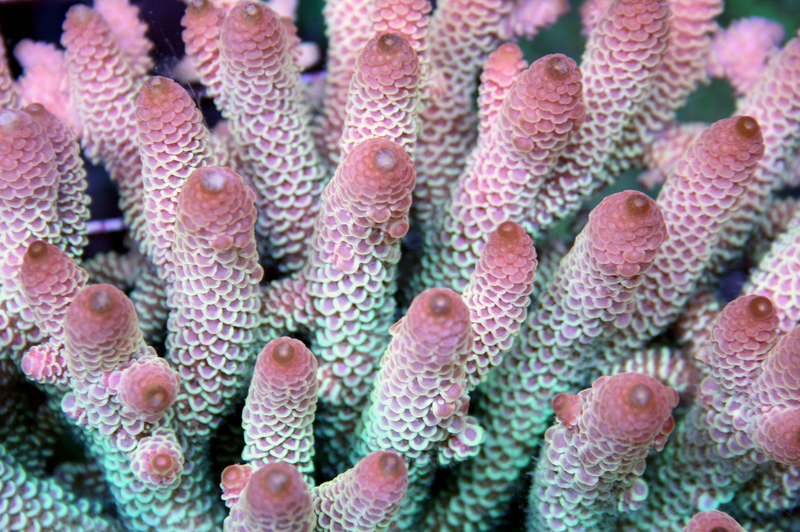 This shaking is done for several minutes daily, releasing the build-up of bacterial slime, which cleans the stones and provides food for corals. It’s advisable to use zeolite under low flow, typically somewhere around 100 gallons per hour, or less. Running water too quickly over the stones doesn’t allow anaerobic bacteria to form, as it causes oxygen to flourish as water breaks over the media. The goal is to create a small refuge for these bacteria, where they can proliferate while absorbing phosphate and nitrate. Cycling the reactor: Zeolite reactors need to cycle before an aquarist begins to enjoy the benefits of a ULNS. If you’re adding a zeolite reactor to a brand new aquarium, it can greatly decrease the amount of time it takes to establish a bio-filter. Cycling a zeolite reactor is a multi-step process. First, you use an additive to increase the tank’s population of anaerobic bacteria, while also adding a concentrated carbon food source. The goal is to add these to a chamber holding the reactor’s intake pump, passing the bacteria over the media, along with the food source. With this approach, it allows a bacteria bloom to occur within the reactor, and the newly introduced bacteria can colonize the zeolite material. When cycling the reactor, it’s vitally important to take it slow. Additional additives exist to help reduce nitrate and phosphate, and these should be used only when accurately testing. A populated reef can be damaged if a zeolite reactor rapidly drops nutrient levels. When browsing various forums, I discovered that many users suggest different additive dosages when cycling zeolite. Personally, I found the recommended dose to work fine, and the only adjustment that may need to take place is pulling back on the nitrate and phosphate remover to create a gradual nutrient drop. 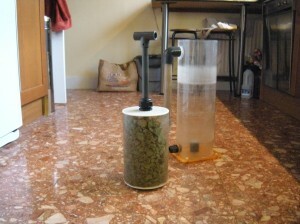 I takes around two weeks to get your reactor stable and cycled, from a nutrient removal standpoint. Once done, you can begin focusing on shaking the media, and tapping into zeolites properties as a catalyst for various additives. It’s important to remember that zeolite is what you want it to be. I personally implement it as an overall tool for keeping low nutrients and maintaining water chemistry in line with natural seawater levels. When doing this, I’ve found that it’s easiest and most effective to use korallen zucht’s zeovit brand media, additives, and salt, along with their carbon. Most zeoheads agree that zeolite works best when maintaining natural seawater conditions. Those are as follows: Calcium: 420 ppm Alkalinity: 7 dkh Salinity: 1.025-1.026 SG Ph: 8.0-8.3 Magnesium: 1280 ppm Phosphate: >.005 ppm Nitrate: >.0001 Though, like I mentioned, zeolite is what you want it to be. If you are comfortable with different water parameters, and you find your corals thrive under these conditions while using zeolite, then don’t fix what isn’t broken. 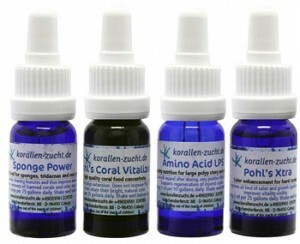 If you are seeking to use zeolite as a way to maintain natural seawater along with a ULNS, then Korallen’s salt helps, as it’s formulated to natural seawater conditions. Once your reactor is stable, and your nutrient level has slowly tapered down to nearly undetectable, you can begin focusing on additives. 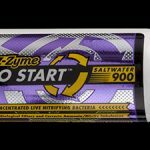 It’s important to remember that in low nutrient conditions, supplements such as amino acids and others can make up the nutritional gap that arises when nitrates and phosphates aren’t present in the water. Without some form of supplementation or feeding, the zooanthellae algae within coral tissues will have no food source, and will eventually perish, leaving bleached coral colonies behind. It’s great to have so much control over water quality, but vital to fill in the gaps. 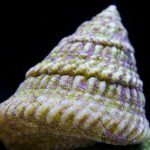 Additives: On reef forums, many people are put off by the sheer amount and cost of zeolite-based additives. They aren’t cheap, and require a good bit of scheduling to keep on top of. 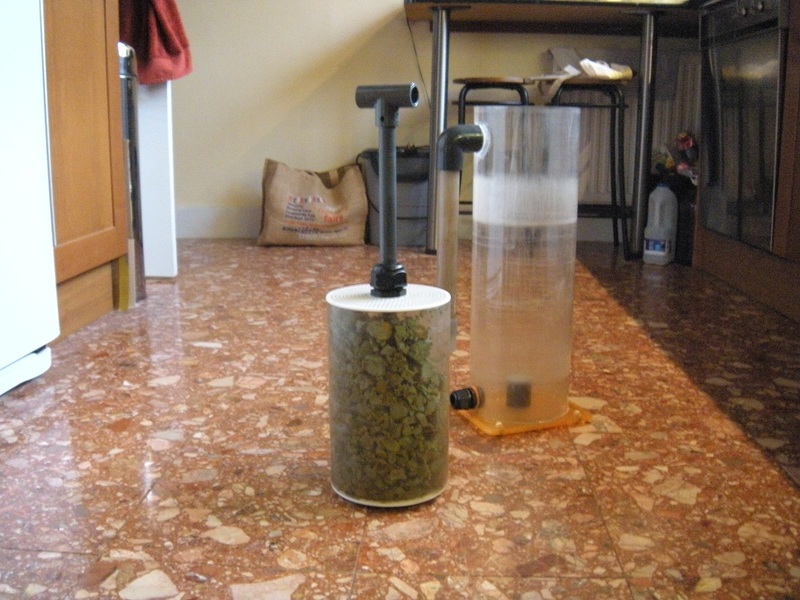 Although, a zeolite reactor functions fine, simply as a tool to maintain water quality. Once cycled, there are very few additives needed if you are only implementing the reactor to remove nitrate and phosphate. To fully explore all that zeolite offers, going beyond that is necessary. Zeolite gives the aquarist a precise level of control over the composition of marine water. Additives exist that affect levels of iron, potassium, amino acids, and a variety of other things. Additional additives can increase protein skimmer performance, as well as help clear cloudy marine water. By monitoring the visual health of your corals, you can play with amino acid supplements and find out what works. I usually stick to the dosing guidelines advertised, although I switch up the cocktail of products I use based on how my corals respond. By mixing several different supplement types, I’ve found a good middle road between throwing everything in and adding nothing in at all. Corals respond with good coloration and growth on both SPS and LPS coral species, and dosing doesn’t defeat the purpose of a ULNS. Adding too many amino acid supplements can raise nitrate or phosphate so high that the zeolite reactor can no longer assimilate it, and thus you no longer have a ULNS. Additives that offer special results, such as zeozyme, which increases skim mate production, can be used daily or on an as needed basis. Some of these require a soak of 6-10 hours in tank water before being added to the tank. I can vouch for the effectiveness, and when using the additive mentioned above, I was pretty shocked by the quality and quantity of the skim mate produced. Such additives have been used to help quell cyanobacteria outbreaks, as they bind nutrients up into clumps which easily attach to the oxygen molecules created by a skimmer. One downside to these additives is that the majority cause temporarily cloudy water, and greatly reduce light penetration. To combat this, when I use them, I use them after lightingis turned off for the night. Shaking: As I mentioned earlier, zeolite media needs to be shaken daily. This releases bacterial film, (called mulm) which acts as a coral food source. If you don’t shake the media daily (I recommend 1 minute of shaking, morning and night) the rocks get slimy and flow through the reactor is greatly impeded. It’s been reported that too much mulm actually reduces zeolites capacity as an absorbent and catalyst, rendering it ineffective. While manually shaking works just fine, I’ve found that AVAST Marine’s Vibe reactor is well worth the money. The vibe is not only a very well built reactor, but it includes a motor and vibratory plate which perfectly rattles the zeolite media within. Using a controller or timer, you can set the reactor to shake itself several times throughout the day, offering a totally hands-off approach to zeolite implementation. One thing to remember, shaking the mulm off zeolite does cloud your aquarium water, and it may remain cloudy for quite a while. If you’re planning on showing off your tank, you will want to make sure to shake, not stir, the media at a later time.Final thoughts: For me, zeolite is a way to maintain pristine water quality without the need for a refugium or synthetic products such as bio-plastics. While zeolite is essentially synthetic, as it’s mass produced, it doesn’t act as a carbon source which bacteria break down over time. Two final things to remember. One, zeolite media typically needs to be replaced around every 30 days. Most zeoheads do a partial replacement, leaving a little media behind to seed the new stones. Two, for water clarifying purposes it’s best to implement a carbon reactor. I just sent water samples to Triton labs, and will post the results when they arrive, as I hope to combine the use of zeolite with the Triton method, in hopes of establishing environmental stability within my aquarium, without the need for a refugium 25% the size of the aquarium’s volume. If you’re implementing zeolite, or considering it, and need some help, feel free to email me at jjeremy@gmail.com.